Outside of city planning area. Building coverage ratio: 60 %, Floor area ratio 200 %. To enter into a Pollution Control Agreement based on Tochigi living environment preservation Act. To drain by exclusive drainage pipe after the processing (max BOD 8 mg./liter or less) by each company individually. High voltage（6kV): Supply facilities are available in the park. Special high voltage (66kV): Available. 20 km, 30 minutes by car, from JR Karasuyama station on JR Karasuyama line. 27 km, 30 minutes by car, from Nasushiobara station on Tohoku Shinkansen. 30 km, 40 minutes, from the Yaita interchange on the Tohoku Expressway. 35 km, 45 minutes, from the Nasu interchange on the Tohoku Expressway. 40 km, 60 minutes, from the Naka interchange on the Joban expressway. 45 km, 60 minutes, from the Utsunomiya interchange on the Tohoku Expressway. 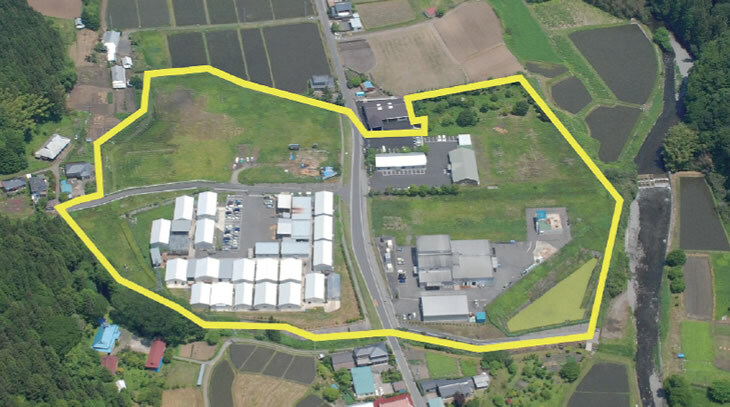 In corresponding to the subjected industries, and acquired depreciable assets relevant to the new development, or addition, or succession, the total amount of the acquisition cost shall be 30 million yen or more including the subjects directly used for the business operations and welfare facilities, etc. An equivalent amount of the fixed assets tax (in case corresponding to the Act on Special Measures for Promotion for Independence for Underpopulated Area for the exemption of the fixed assets tax, excludes the amount of the exemption) in related to the property used directly for the business operation among land (only limited to that started its operation within 3 years from the date of the acquisition), buildings, and depreciable assets. Corresponding with the Industrial Location Incentives, to employ 3 or more newly employed full-time employees who employed 1 year or more for the period of within 5 years from the start of its business operation. (only limited to residents in Nakagawa Town) 300,000 yen per full-time employee. Incentives for National and prefectural tax by Area Development Legislation, etc.